Well, its been quite a long time since my last post. 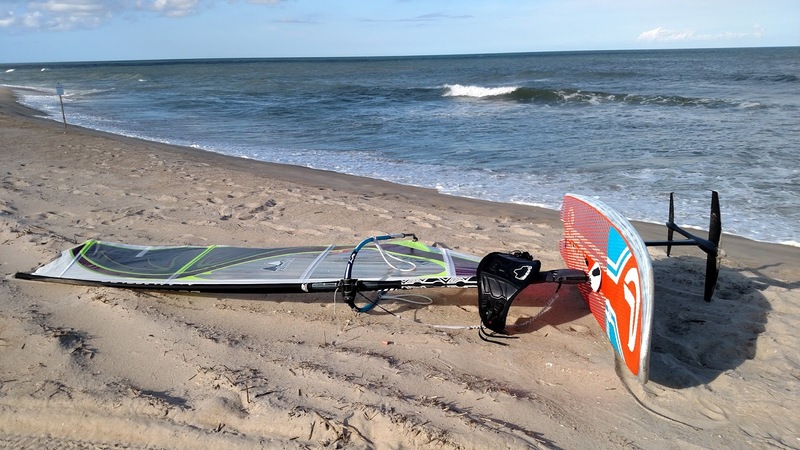 Family life has impacted my free windsurfing time considerably, and those “old” days of dropping all to make the run to Avon have been gone for a while. 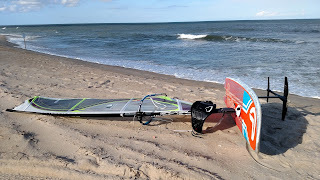 Fortunately though, with SeaLion Wings and a foil, I have been able to enjoy quite a few fun sessions in town (Nags Head) during the warm water days of summer when the ocean is flat. Of course, when there is surf, the Wings shines too with plenty of wave action in town! I caught a fun Ego Beach sesh back in Feb where it was 3/2 fullsuit but no cap/booties (warm SW wind and surprisingly warm water)! Recently, have been able to hit JRidge for a few 4.6m and down sessions this Spring! Fun times to hop over for a quick sesh during the “extended” lunch break, or prior to the evening little league baseball practices/games. Hopeful for some future runs to Avon or rather the ramps between Salvo and Avon for a few afternoon sessions. Not sure what the breaks are like down there, but will try to make a recon run soon. Also, if you have noted, I added a live YouTube video feed in the upper left of the blog. This replaces the old Bambuser version, as Bambuser has retired from live video streaming. The YouTube option works quite well though, just need to get out for some upcoming reports! All in all, stay tuned! Rare Summer Time Nags Head Wave Sesh! 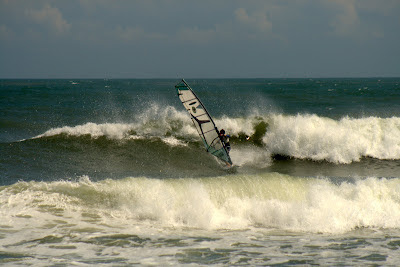 Yesterday, wind and surf aligned to provide some really FUN conditions in Nags Head town proper! I was out at Conch Street across from Jockeys Ridge and conditions were solid 17-20+ mph SSE wind and a nice SE swell providing chest + outside surf! I rode both kits including the 92 Twin as well as the Sealion Pro. Sail throughout the day was the 5.1m Maui Sails Mutant. On the Twin, the wind primarily was on the light side, but for about an hour I was well juiced even for a few rare Nags Head loops! Swell was perfect for easy pickup on the outside, and the energy always was enough to plane upswell and into the surf zone! Late day as wind shifted true S and decreased, I switched to the Sealion and remained out there riding wave after wave. A full 6 hours of wavesailing and at the end, I did not want to stop, but was simply too spent with a tired body and sore hands. Given the rare Nags Head wave sesh (surprisingly with nice sized surf! ), it was hard to give it up to end the day! I was solo out there other than a few surfers who paddled out. Inside current was strong so many did not stay out long as they drifted north towards Nags Head Pier. On the windsurfing kit though, I was able to remain out most of the time. Did have to do a number of up wind walks but that was mainly due to the long DTL rides connecting 5+ turns! All in all, an excellent session and I wish they were not so rare for Nags Head?! No images, but if you happened to view the Nags Head Pier Cam yesterday afternoon, you likely saw the sail in the zone when the cam pointed south! Sealion(s) for Sale Just in Time for Xmas! Interested in a Sealion?! 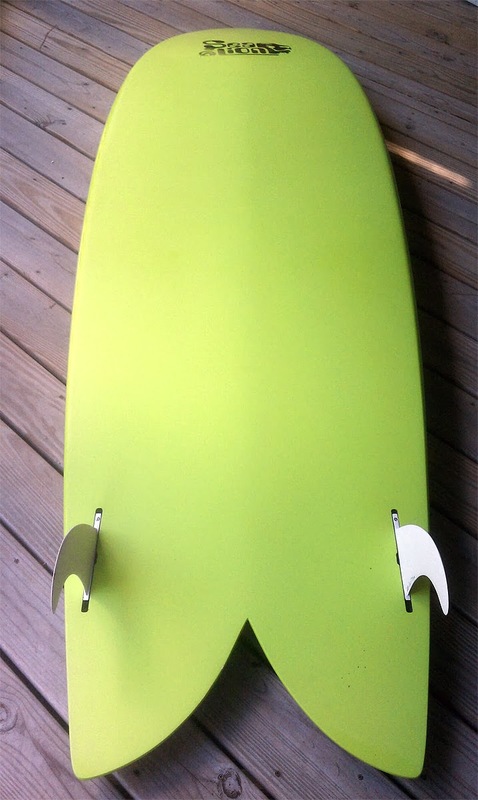 Summer 2014 is currently a distant thought, but it will be here soon, and the perfect ride to catch those summer-time waves is the AHD Sealion. 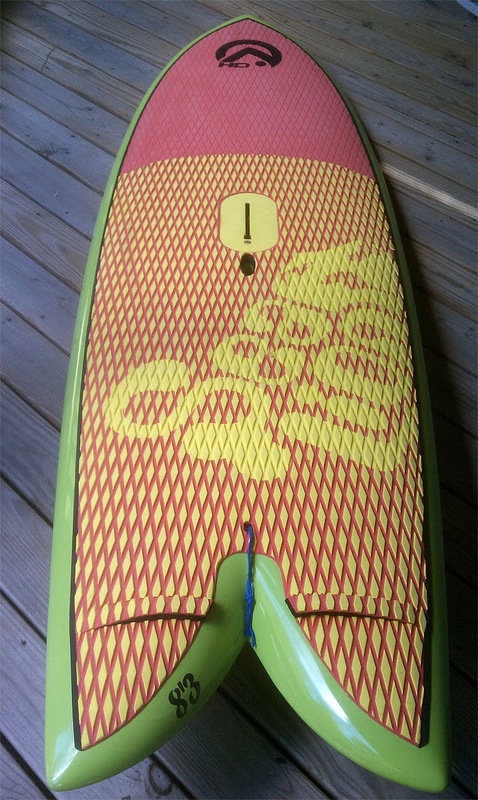 Of course the board will work great anytime of year and indeed given its stability and use in light wind/mild surf, it works great during the winter months as falls are kept to a minimum and its easy to remain high, dry, and warm! Recent pics of the Sealion 83 for sale! 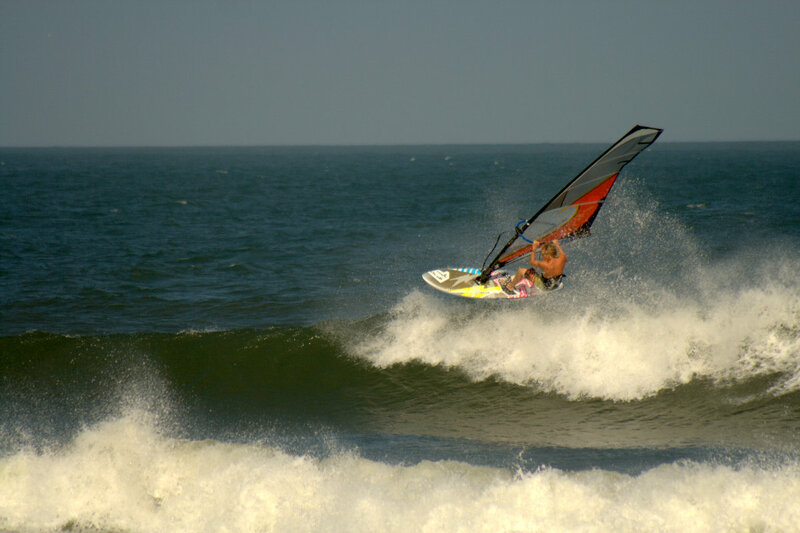 Keith McCulloch on the Sealion during the 2013 AWT Hatteras Wave Jam! The post the best Beach Cottage day trip for a long time appeared first on Beach Decor Blog, Coastal Blog, Coastal Decorating. Looks like we have a tropical spinner heading this way from the southern Caribbean. TS Chantal is forecast to track up the US eastern seaboard but hopefully remain well offshore. The track looks to take it though the Slot between Hatteras and Bermuda which is the perfect track for some solid SE swell and longer period if it remains well out to sea. All in all, a solid long period swell is what we need to overcome the pure flatness seen out there today! Perhaps a little SSW wind mixed in and wala! Its been quite a while since Super Storm Sandy roared up the US East Coast producing an epic surf experience of both historic destruction and legendary riding. The OBX impact was of course the destruction of Rt 12 near Mirlo Beach at north end of Rodanthe and uncertain access to Hatteras Island. Coupled with the cold spell and November reign of NE gale force winds, the NC DOT has been on hold to repair the road and freely open access to Hatteras Island. Ferry access is available, but 2 hr rides and long lines are not very enticing for a HI run to catch a wave sailing sesh. Thus for me, my gear has remained cold and dry since mid October. Fortunately, those down on HI have been able to catch some action especially around the Thanksgiving holiday. Thanksgiving day itself provided some excellent south side wave sailing action as the weeks of NE gale provide solid swell wrap. The “Black Friday” swell provide epic challenging surfing conditions for those who paddled/towed at the Lighthouse. All in all, HI remains alive and active even if Old Man Winter has come early this year to the OBX with cold air temps literally locked in since Sandy’s pass. 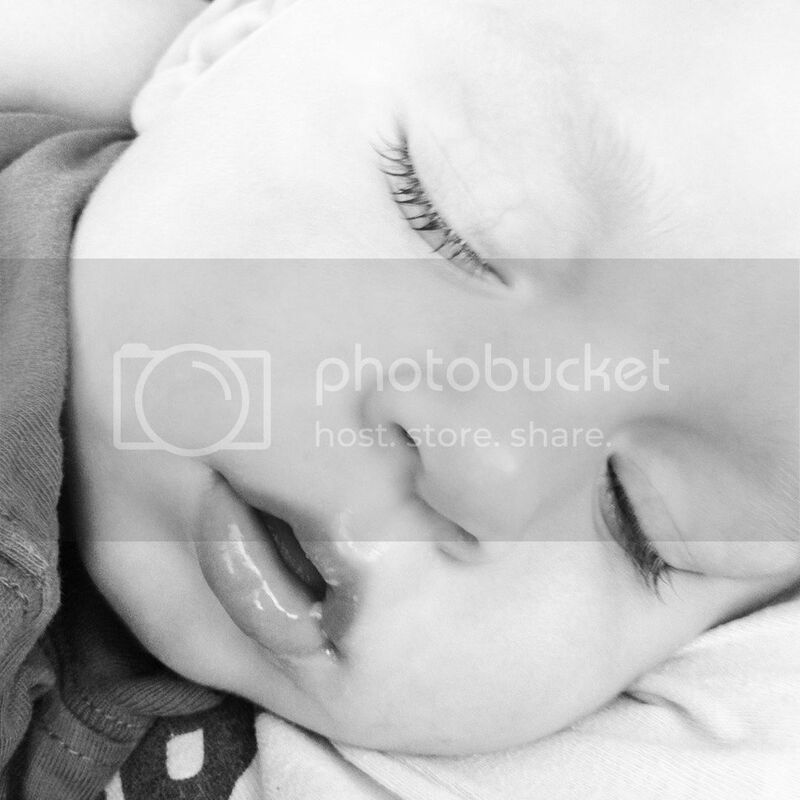 Unfortunately for myself though, I have been stuck north or Oregon Inlet remaining warm, dry, and changing dirty diapers patiently waiting for an upcoming southerly gale… Hopefully, I will not have to wait until late April?! Day Three Leslie Action, This Time… Cape Point! Wow, if we had Hatteras Wave Jam this week?! Enough words, here are the pics!